TARGET TED 2014 // 2014 marked thirty years of the TED conference. It also marked thirty years of Target. For this special occasion, we conceived a social space that paid homage to both brands' milestone. The brief was to keep the space rooted in a coffee shop. 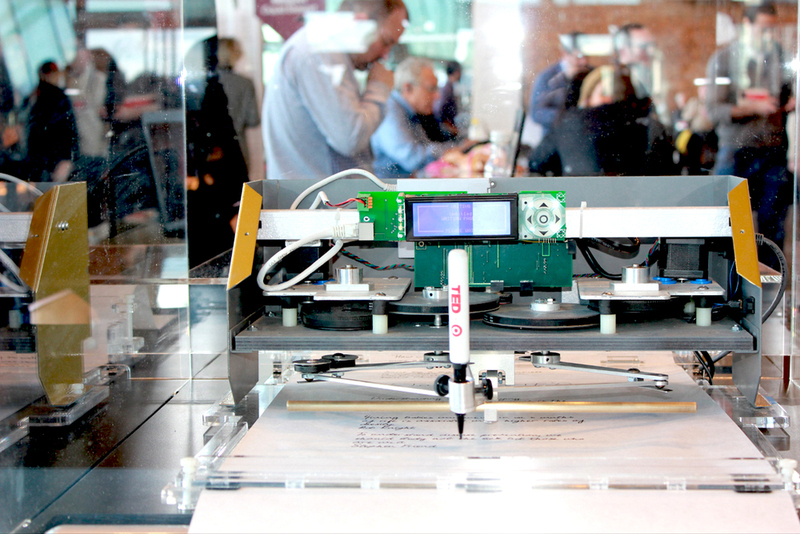 We imagined a coffee shop of the future, complete with a robot arm that "wrote" the best quotes of the TED conference from the last thirty years. David Rockwell, who designed the interior conference space at the Vancouver Convention Center, lauded our space and the activation we created and executed. Over the course of the conference, our Target experience featured activations including handwriting analyses and a live artist drawing portraits comprised of hand-drawn words.